Located at Bridgeton Cross in the East End of Glasgow the development consists of 68 homes for social rent, including 24 for elderly amenity with 6 to wheelchair standards. Provided in a grouping of 4 apartment blocks of varying scale, grouped around a common landscaped garden, with associated parking and amenity. 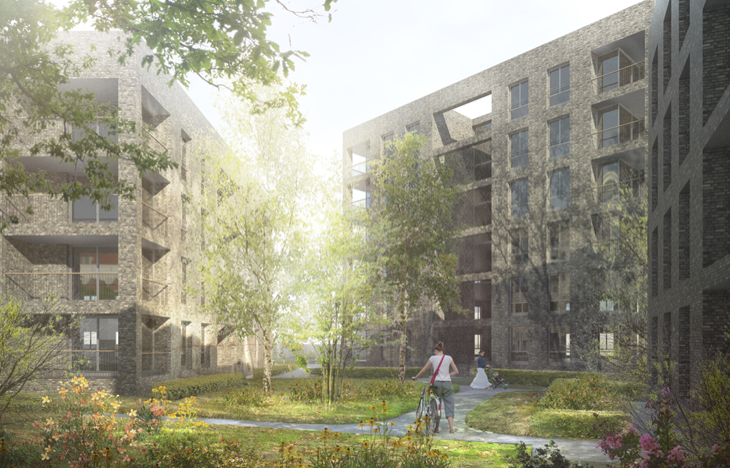 The design vision was to create a sustainable place where people want to live, using innovative design and construction technology to integrate and include people with diverse and particular needs and provide a legacy for future generations to enjoy.